Apparently, today is National Running Day. I really have no idea what that means. Do I buy a card? Do people get me gifts because I’m a runner? Can I get some free running shoes somewhere? In any case, today I wasn’t planning to run. I really haven’t done much running since my most recent half marathon in Nashville, about a month ago, because I’ve been focusing on weight loss through clean eating and the 21 Day Fix. As much as I would like to run, right now I have a goal, and I want to achieve it. I ended up running today, anyway. I was feeling pretty lousy today. It was just a bad day, one of those days when you’re inexplicably grumpy. I was pushed to go running, incentivizing myself with the promise of buying a chocolate protein bar at the store about a half-mile away from my apartment. I laced up and headed out. It sucked. I forgot that running downhill can be really painful. The store I was heading to was at the bottom of the street. I’m sure my pace was something close to 3 minutes faster than I normally run. I was rolling, essentially, and hurting my shins along the way. “Eh, it’s something,” I thought. Of course, what goes down must come back up…straight up. This was one of the first times I could tell just how strong the 21 Day Fix has made me. I felt wiped out, but my legs weren’t. They were ready for more. My endurance on the other hand…well, we won’t talk about that. But I did it. It was a little over a mile, but I did it. I participated in National Running Day and got a prize at the end. I sat down to write this blog post today about a completely different topic, actually. But after my run, I thought about what running means to me. 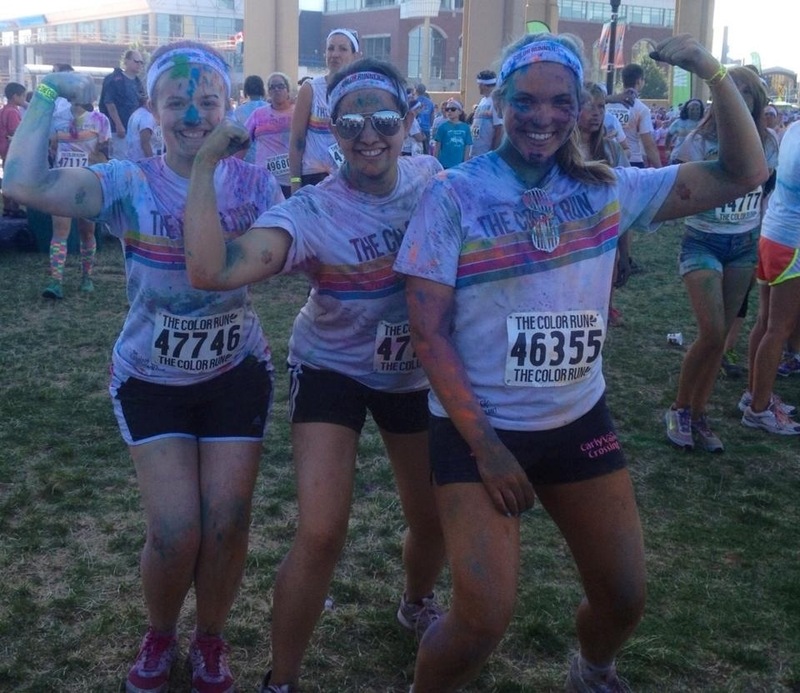 I started running about two years ago because I signed up for a Color Run and didn’t want to look like a moron in public. I got the Couch 2 5K app on my phone and followed it religiously. All of a sudden I was hooked on it. I was addicted to getting better and going further, despite the injuries I suffered. My first ever 5K was such a huge deal to me. I was so excited to finally complete it. I aspired to maybe, someday run a 10K. It was a far off dream, but I aspired to do it. That dream started in August of 2013. Five months later, I signed up for a half marathon, and then another one soon after. I’ve completed three half marathons with great friends in spectacular places since then. Running has given me so many things. It gave me an amazing, supportive community to be a part of. Watching others have amazing runs, complete half and full marathons, and talk about running has been simply awesome. I love being able to turn to other runners at the start line and strike up a conversation. It’s an accepting and supportive community, welcoming anyone who is willing to give it a try. Running gave me confidence. As a kid, I was overweight and uncoordinated. I bowled. I didn’t run, jump, or play sports. I never had the confidence in myself to do those things. I went into gym class knowing that whatever the activity was; badminton, softball, soccer, gymnastics, or even swimming, I wasn’t going to be good at. I wasn’t even going to be in the “middle of the pack” when it came to the rest of my class. I was always nervous about what everyone else would think of me. Running gave me something indescribable. 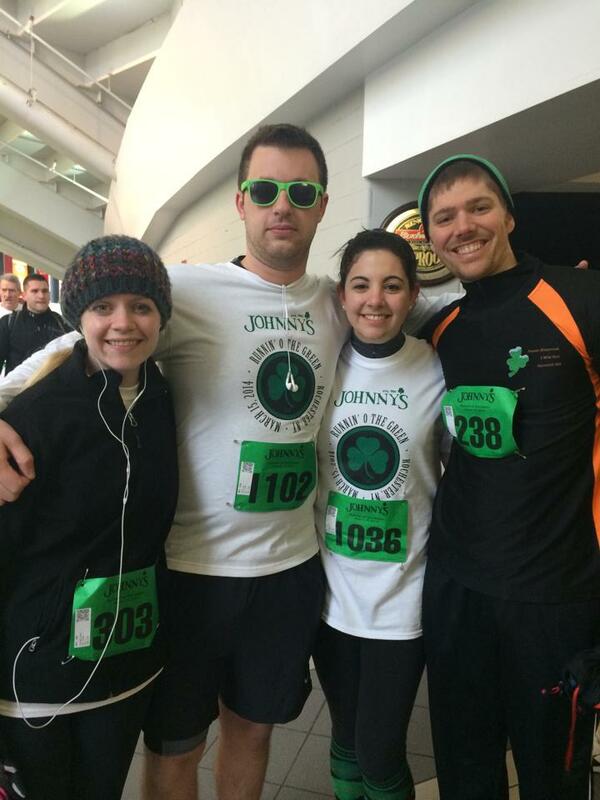 It gave me a time to say, “I can do that.” A 5K? I’ve done that. 10K? That too. Half marathon? Yeah, I can. I can’t describe the feeling of how much that means to me, because I would have to first describe how critical I am of myself and how much I felt as though I was a constant disappointment; something that I don’t have the words to explain. I may still be a little uncoordinated and not super great at sports, but I don’t feel awful about my physical ability anymore. Running also hurt me. Physically and emotionally. I’ve cried so many times over runs that I can’t even begin to recount them all. I cried because of bad runs, I cried because I made excuses. I cried because I didn’t run as fast or far as I wanted to. I cried because my mind wouldn’t push itself further. Running forced me to see that I’m not perfect. Running taught me how to push myself just a little bit further. It tired me out and hurt my legs. It cost me thousands of dollars in custom orthotics, sneakers, and gear. It nearly gave me frostbite. I made really dumb decisions about my body because of running…and because I wanted to keep running. Ultimately, running made me focus on my health. It made me realize that I needed to start taking care of myself and love myself more. It gave me a goal and something to feel proud of. When I started running, I didn’t want any of this. I just didn’t want to look like an idiot. I got so many more things. Running, truly, has changed my life.